Video watching platforms are you spending a lot of time on YouTube. But after calculating how much time is spent, it's a lot complicated. So the platform has come up with a new feature. The new feature will tell how long a user watched the video. 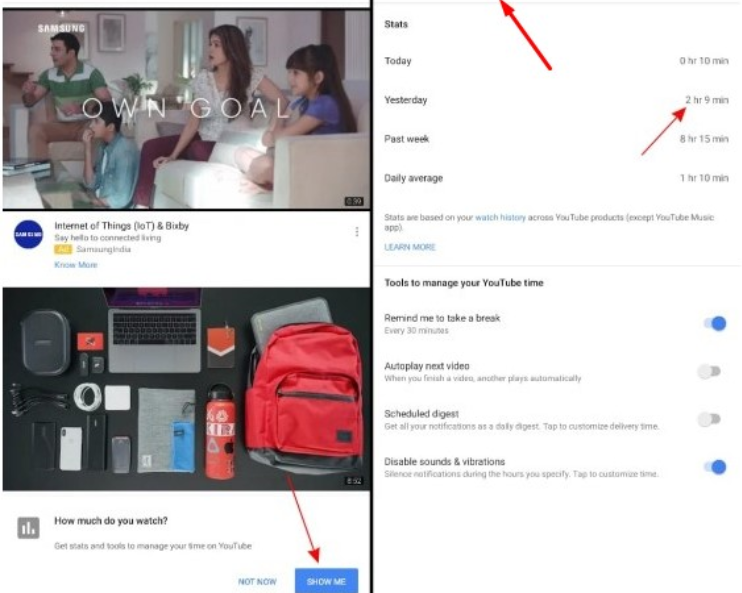 Recently, YouTube officially announced the new feature. From the 'Time Watch' option on YouTube, users will be able to know the total number of videos, including the week, every week. However, the user must be logged in with the YouTube account. YouTube user histories take information about viewing time. So if the user deleted the video history from the user's account then it would not be as accurate. The feature is not yet reached to all users. It will be gradually reached, said YouTube authorities. WHAT IS ANDROID GO AND WHY?